Why Are There No Windows In Casinos? - Casino Answers! 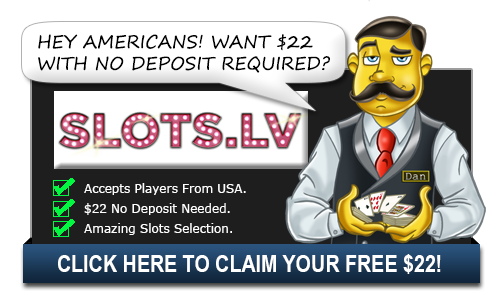 Casino Answers » Casino Trivia » Why Are There No Windows In Casinos? Casino’s want you to lose track of time It’s as simple as that. You lose track of time, the greater the chance of you dropping more money into their ever expanding coffers. Seriously, if you know that it’s getting late, you might start to think like a responsible adult and decide it’s time to go to bed. If you don’t know it’s getting late, you’ll forget all about being the responsible adult that your parents think you are and revert to the feral-like form that we all take on when we decide to gamble. The last thing you want to do when you’re on a heater is act responsibly and go to bed! So, without windows in a casino, you will never see the sun rise, you will never see the sun set and it means that between that and having no clocks, you’ll have no idea how early it is or how late it is. And if you’re in the hole, you’ll think you have more time to claw it back than you actually do. And the same applies if you’re winning a lot. If you don’t know that the sun has set, or is just about to rise, there’s more chance you’ll lose your winnings back to the casino. So how do you combat this? Well, first of all, take a watch with you. Keep track of the time and have a set time when you’re going to stop gambling, because if you don’t, you’ll either lose everything in your wallet, or there’s a greater chance that anything you have won goes back to the casino. We don’t want that to happen, do we? So keeping your own track of time is important. Casinos don’t have a policy about people not wearing watches, so make sure you wear one. Secondly, maybe go and get some fresh air during your time at the casino. Aside from the fact that these places are stifling and you’re breathing in recycled air, you’ll also be able to see how dark it is, or how light it’s become since you ventured into the casino. You can then make your own mind up i it’s too late for you to be playing. Remember, casinos want you playing on their terms, but to have an edge, you have to be playing on your own terms and that means monitoring the time and setting limits on yourself and obeying them, no matter how hard it might be to drag yourself away from the table. It’s also the same if you’re playing at an online casino. If you download online casino software, remember to be in a room with a window. Of course, there is usually only one room that doesn’t have a window and I doubt you’d be spending several hours in there. If you are, go to the doctor before you resume gambling! Anyway, even when you’re playing at an online casino, remember to keep an eye on what’s happening outside. The amount of times I’ve saw the sun set as I load up the casino only to see it rise the next morning is quite a lot and I do try and avoid doing it, although sometimes I can’t help it, as I love playing at online casinos a bit too much at times. Although I don’t think you can blame me. Do casinos have windows? What tricks to casinos use to keep you gambling? How do casinos keep you gambling?